This happens at this time of year every year that Obama has been in office. Every. Single. Year. Instead of passing a balanced budget and reigning in spending, the Treasury and the Liberals demand the debt ceiling be raised or else. We are broke. As of this morning, the US was almost $18.5 Trillion in debt and I have heard this week there is an addition $2.7 Trillion that should be added to that total. That’s insane. There is no way we can ever pay off that debt and a default is surely in the cards for us. To just keep raising the debt ceiling is to simple delay the inevitable. This isn’t a love story… it’s an apocalyptic tail of collapse. Lew is singing the same old song they roll out before Christmas every year… it sounds a lot like a death dirge. 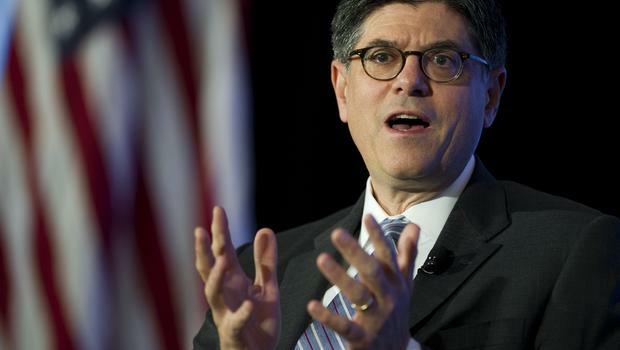 “At that point, we expect Treasury would be left with less than $30 billion to meet all of the nation’s commitments — an amount far short of net expenditures on certain days, which can be as high as $60 billion,” Lew said in a letter. “Operating the United States government with no borrowing authority, and with only the cash on hand on a given day, would be profoundly irresponsible. As I wrote previously, we anticipate that a remaining cash balance of less than $30 billion would be depleted quickly,” he said. “We have learned from the past that failing to act until the last minute can cause serious harm to business and consumer confidence, raise short-term borrowing costs for taxpayers, and negatively impact the credit rating of the United States,” he said. Of course, you’ve got Harry Reid pushing for this, blaming the crisis on the Republicans again. Reid sounds old and doddery. Look for Boehner and McConnell to run in and do exactly what the Democrats want once more. Same old crap, different day. Here’s a reality check. As if the $18.5 Trillion debt wasn’t bad enough, total US debt is actually $65.5 Trillion. I can’t even grasp that number and I’m an accountant. It boggles your mind and you just turn from it. Our total debt is up 143% since 2000. Unfunded liabilities are at a cool $99 Trillion. Foreigners hold $6 Trillion of our debt. We are not the only country in big doo doo here. Most are, but I care about the US. We are killing ourselves quickly here. Someone needs to turn off the spigots before we turn the lights off and call it a night as a nation.